Ear cartilage is a common area for women to have ear piercings. There are many ideas of earrings from the simplest to the most ornate ones. Some of them are even unique and unusual. The most classic style among cool cartilage earrings is stud. Besides, it is also the most versatile one. Unlike studs worn by men which are simple, studs for women often have tiny charms like rhinestone or diamond attached to the metal post. These earrings are considered not only cool but also comfortable. Studs come in either traditional or modern style. Traditional studs have larger gauge size. The most popular idea is captive ball rings. You can find them in several different gauge sizes, colors, and materials. The main characteristic of captive ball rings that makes them different from other earrings is the tiny metal ball that holds the earring in place. Barbells are also considered as cool cartilage earrings. Depending on your personal style, you can choose the lengths, colors, and gauge sizes as you want. The shape is available in two options, straight or curved. However, too ornate barbells piercings are not really comfortable when you make a phone call. So, it is better to choose short and thin barbells. Hoops also look very cool on your cartilage. Women love them because hoops are typically thin and comfortable to wear. 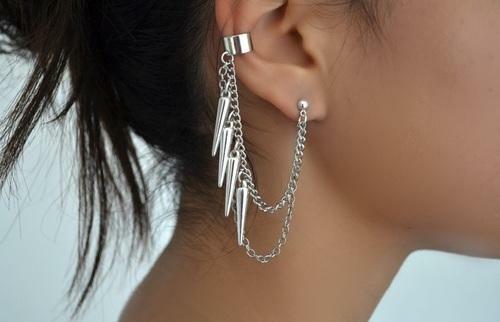 Meanwhile, if you want to have Helix piercings, try cuff earrings. Cuffs form a firm clasp around the cartilage. 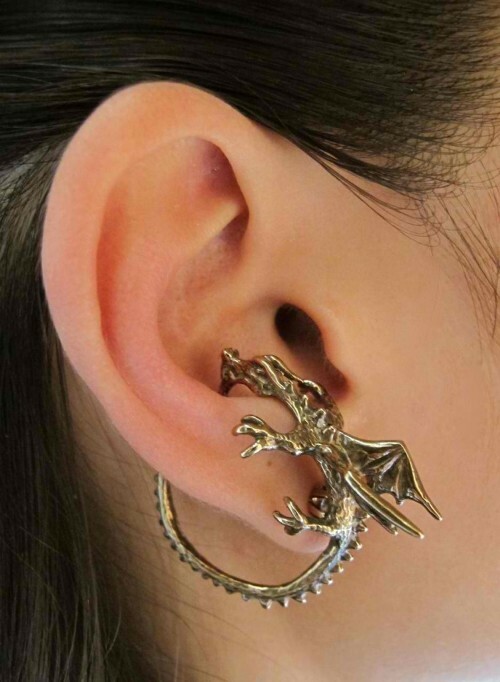 From the explanation above, it can be concluded that there are a lot of ideas of cool cartilage earrings such as studs, hops, barbells, cuffs and captive ball earrings. Which one do you like? The most important thing is to choose the one that can enhance your appearance. Perhaps, not all earring types aforementioned work well with your face shape. For example, rectangular shaped face needs earrings that do not elongate the look. Small stud is the best idea while dangling earrings are not recommended since they can make your face even look longer. On the other hands, women with a round face looks good in long, floppy or rectangular-shaped earrings as they provide length. What about a heart shaped face? 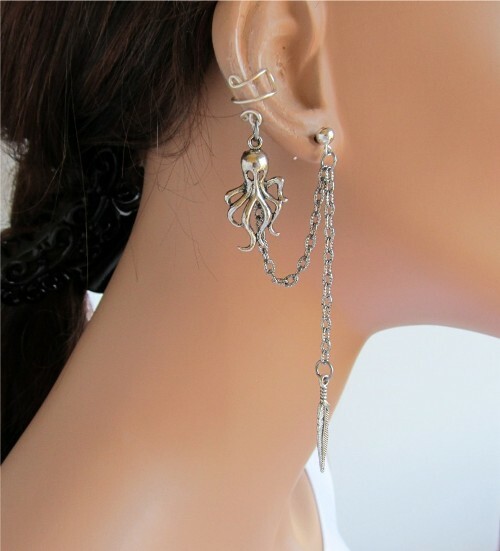 Chandelier style earrings work well for this particular face shape as they add width at the jaw lines. You are lucky if you have an oval face. This ideal face shape looks good in any type of earrings.